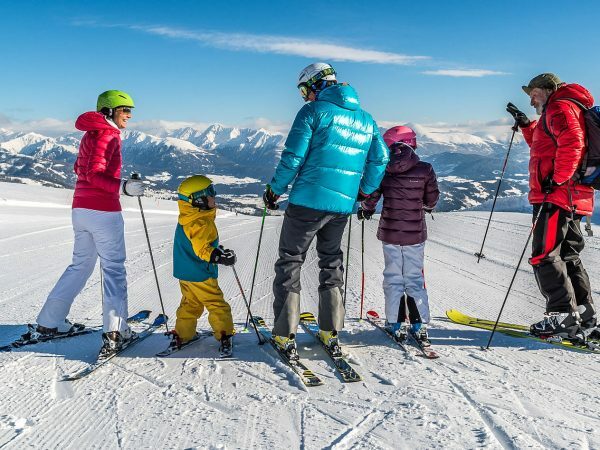 LIFTS: 16 Lifts (Gondola-2 / Chair lift-6 / Drag lifts-8). 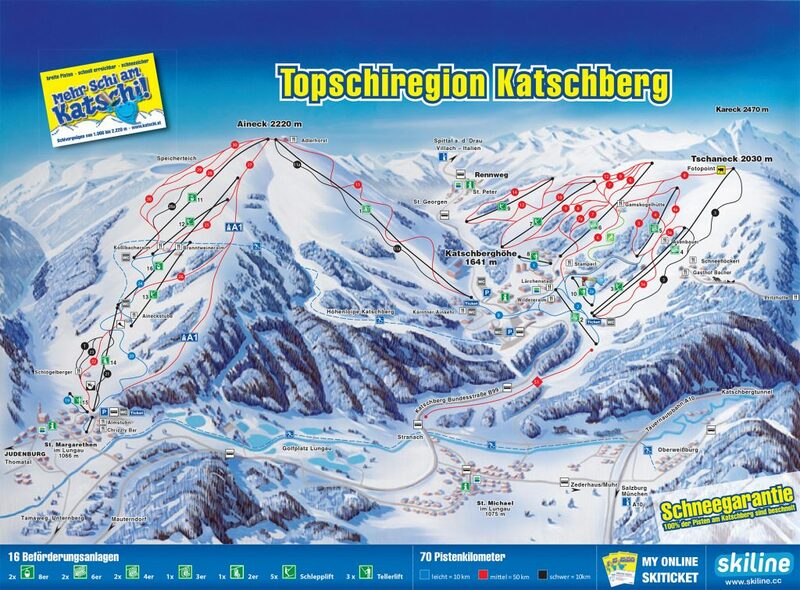 SLOPES: 35 pistes in the area of Katschberg-Aineck totalling 70km of piste. CROSS-COUNTRY: 24km of cross-country ski trails. 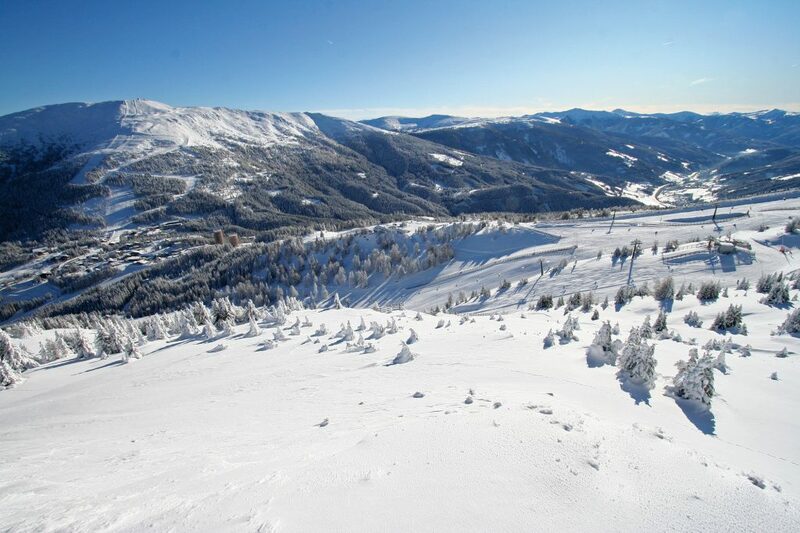 SNOWMAKING: 100% of pistes in the Katschberg-Aineck area are covered by snow cannons. TRAIN: Nearest station is Spittal an der Drau with a postbus connection to the resort. 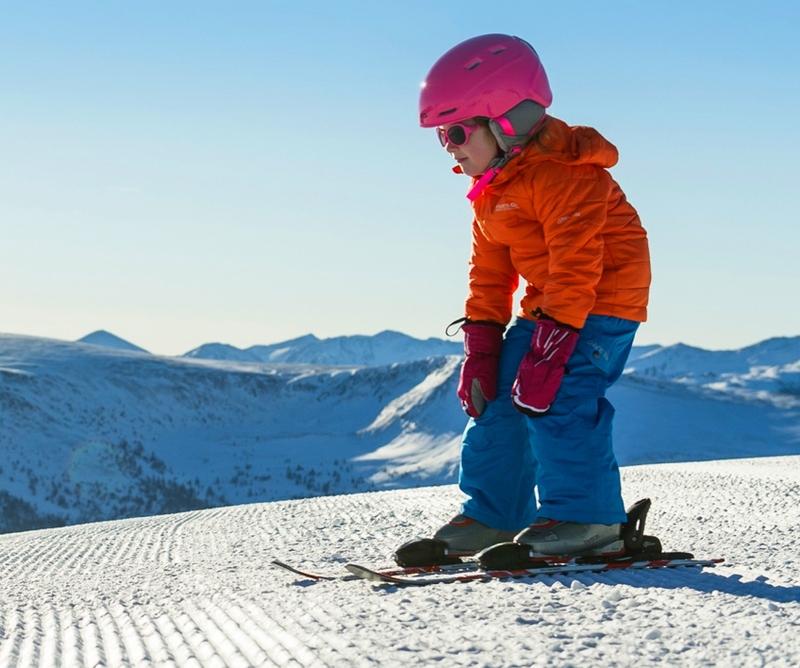 SKI FACTS: The majority of hotels are located on the ski slope. 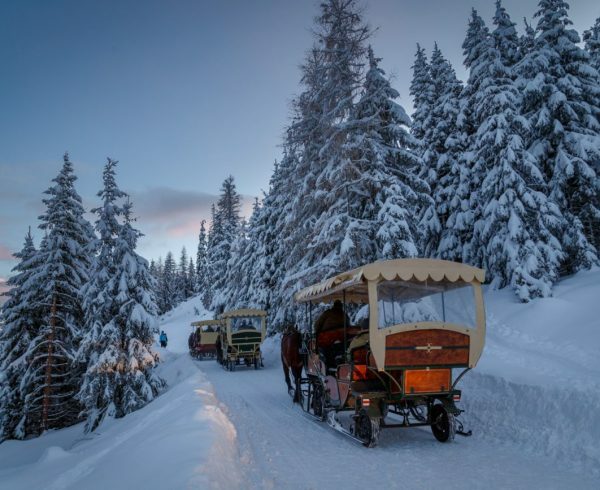 A small town situated on a mountain pass right on the border of Carinthia and Salzburgerland, Katschberg is a secret little gem hidden in the central Eastern Alps. Whilst small in size Katschberg has a good selection of hotels like the Falkensteiner Hotel Cristallo and apres ski venues like Austria’s highest brewery at 1670 metres, housed in the Restaurant Stamperl Katschberg. Here Christoph Hofmayer brews the delightful ‘Katsch Beer 1670’ using pioneering techniques that many in the beer trade thought was not possible… until now, head in on Mondays at 16:00 for a tour of the brewery. Despite the size of Katschberg there is much to do. 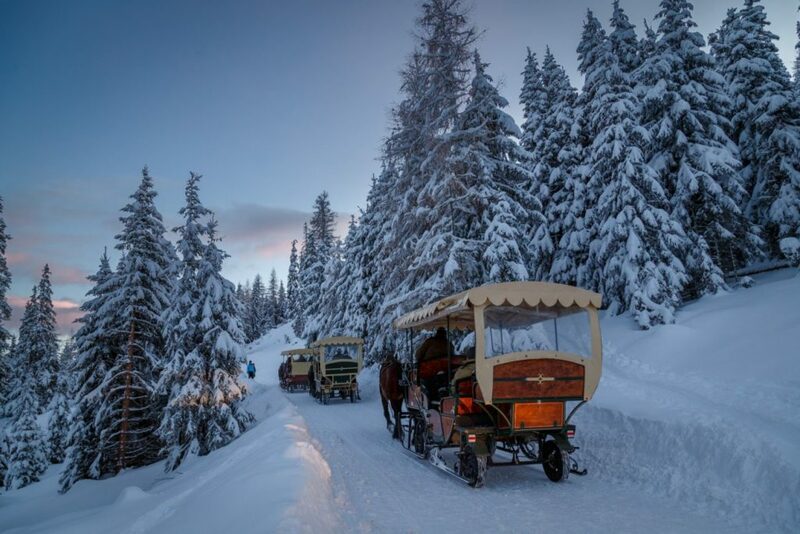 For a fairytale experience take a horse-drawn sleigh ride through the forests of the nature reserve Gontal am Katschberg to the magical Pritzhütte, for a dinner one will never forget. Of the 30km of snowshoeing and hiking trails, I can highly recommend the hike to Gamskogelhütte for Apfelstrudel followed by tobogganing back down to Katschberg. If one feels so inclined there is the opportunity to get married at the little chapel up at Gamskogelhütte. It was a pleasure to discover a skiing area that six months earlier I had never heard of, much to my embarrassment. But this made it all the more fun discovering somewhere that very few of my fellow Britons had skied. 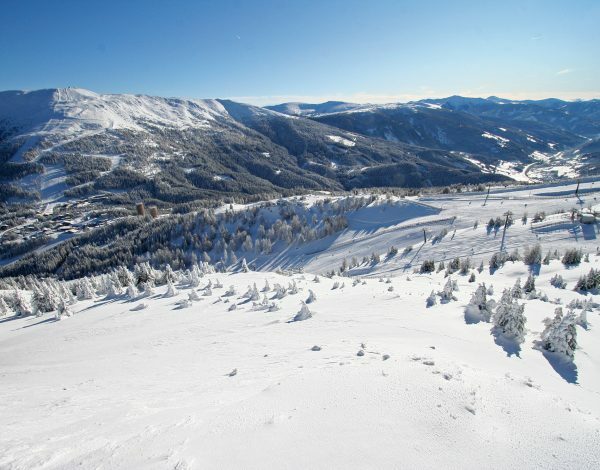 Generally the slopes are super wide, with the majority of the pistes aimed at intermediates. 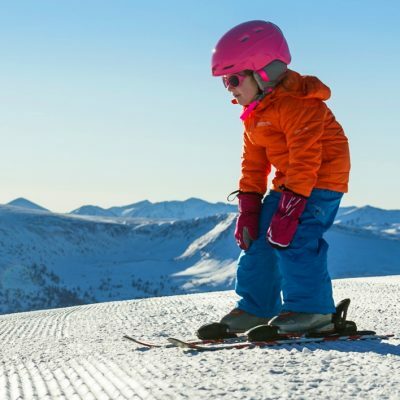 However, there is a fabulous setup for the kids with some great slopes for beginners. There are two ski areas connected by a magic carpet: Aineck and Tschaneck. 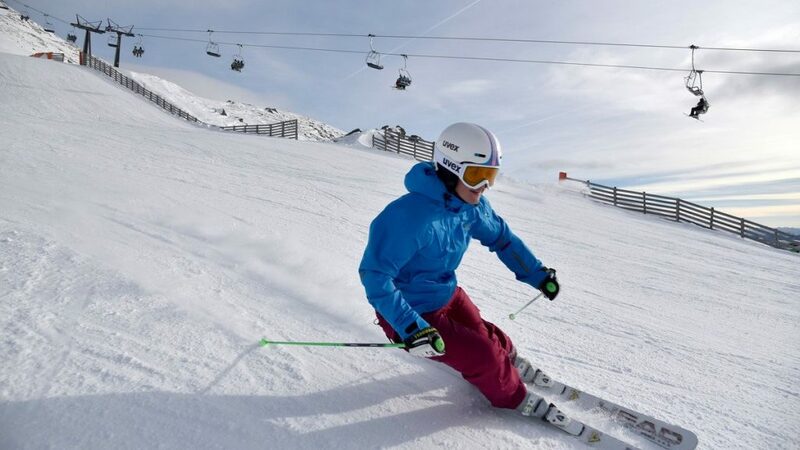 Watch out for the fences though, many of the pistes are lined with sturdy looking wooden fences … keep your distance. 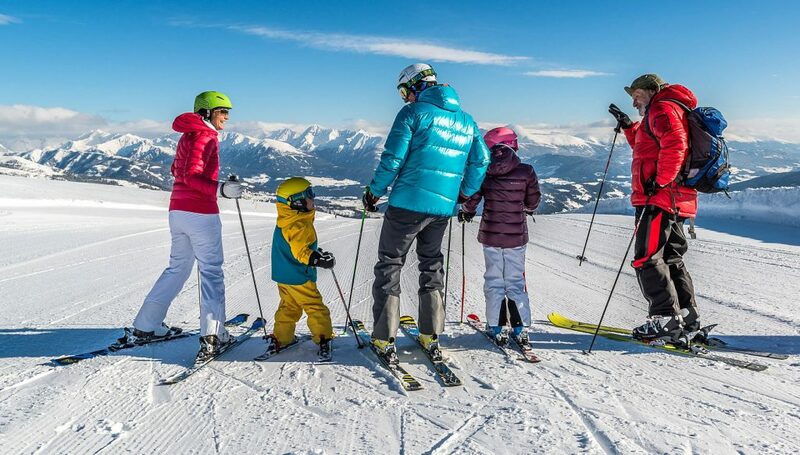 There is a dedicated area for kids called the ‘Katschi’s Children’s world’, where there is a button lift, heated pavilions where the kids can rest, and a gentle chair lift for when they are ready to progress. Ski the whole area and enjoy. Make sure you ski the 6km long A1 Motorway from Aineck down to St. Margarethen. But can you ski it all non-stop? There are black pistes dotted throughout the resort, often following similar routes to the red pistes, so groups can split up and meet at the bottom if required. Check out the black Piste “Direttissima” one of the steepest pistes in Austria. There are a selection of possibilities. Go request the local ski guide Reinhold of Krabath Ski School. There was some amazing skiing and views to be found over the back of the Tschaneck Mountain. The pistes here are shorter than on the Aineck side, but they are varied and fun with a multitude of choices to get down the mountain. I can recommend the food at the Gasthof Bacher – the Schnitzels are fantastic. Over on the Aineck side the pistes feel very different, much longer and many of them start above the treeline and wind their way down the mountain, through the forest down to St. Margarethen. The mountains off to the East are a very different shape from the rest of the Alps in the West, they are more like the type of fells to be found in Finland, stand at the top of Aineck and compare the difference.